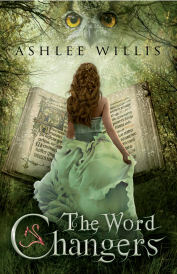 This is an excerpt from the Christian fantasy novel, The Word Changers, by Ashlee Willis. 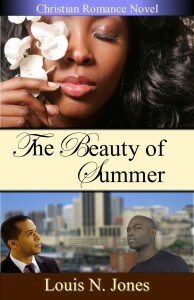 This novel is currently available. Connect with us at Dove Christian Publishers for more information about this publication. You may also visit the author’s blog. Posy is devastated. Her parents’ marriage is falling apart. Posy retreats to an old library, selects a magical book and is drawn into its story, which has been usurped by a cruel king and queen. She battles dangerous monsters and strange creatures, and forms an unlikely alliance with the prince. Will Posy save the story, find truth and romance, and heal her own heartache? The moment she began to fall, Posy forgot everything except her descent. She even forgot how she had come to be falling in the first place. Everything behind her grew faint and far, and everything in front of her seemed a black void. Gravity worked backward, and her racing speed slowed. Now she floated, like a dry leaf, or a page torn from a book. Gradually she felt nothing at all. And the entire time she was falling, she could hear voices, hollow and wide-flung, pulling her back from the precipice. Posy lifted a heavy hand to swat awkwardly at her face. “You’ve come at last, my dear,” said the voice nearest her. “And about time, too.” Posy attempted to open her eyes, only to find it difficult. Was that the brush of a feather on her brow? She groaned in frustration at the weighted feeling she couldn’t shake. “Well, their looks are quite different, I must say.” Now a man’s deep tones. Why are they speaking so strangely? Posy’s thoughts crawled sluggishly into her head, And it is almost as if they are speaking about me … Did someone just say … ‘Princess’? Only last night—was it only last night?—Posy lay in her own bed, listening to the sounds of unhappiness down the hall. Crying hadn’t stopped her parents from arguing. Praying hadn’t ended their hate for each other. Fists clenched into the pillow she had pulled over her head had done no good either. Of course it hadn’t. All the same, something deep within her had clamored and quaked for a change. Something inside had whispered that things could not remain as they were. Perhaps this was the answer. But she thought it more likely it was all a horrid mistake. There was no doubt about it now. Someone was calling her princess. Posy’s eyes snapped open at last. What she saw almost convinced her she was dreaming, if everything hadn’t been so real and so unbearably bright. She had not seen a place like this before. What had she been doing before all this happened? Why could she not remember? Standing around her bed were several individuals. The first one she noticed was a large man, tall and broad, with ruddy cheeks and a full black beard streaked with shots of gray. His must have been the arms that had moved her, as easily as a doll, up on the bed. He was smiling broadly at her through small, intent eyes as he rubbed his hands together with the anticipation of someone a fraction his age. Next to him stood a tall slender woman, breathtakingly—coldly—beautiful. Her white-blond hair fell over her pale shoulders and shimmered like fairy dust down the back of her exquisite gown. Posy blinked at the sight of the gold crown on each of their heads. A group of people—servants from the look of it—surrounded the two of them, all peering curiously at her. Just as the students in biology class all stare at those poor frogs in their glass tanks, Posy thought with a grimace. “Indeed! And how are you, my dear?” the man said, who seemed to be the king. “Daughter?” Posy murmured in confusion, looking from the king to the queen and back again. She bit back a panicked laugh. A vision of her own mother and father—nothing like these two—swept through her head and was gone. What had happened? she demanded of herself harshly. But she could remember nothing clearly. Nothing but … but … Posy sighed in frustration. The memory was just beyond her grasp. Posy heard these words with astonishment as she looked around the room for the person who had spoken them. At last, her eyes alighted on the stone windowsill. On it sat a great gray owl, at least twice the size an owl ought to be, sitting with feathered chest thrust forward, a self-satisfied expression on his face. Surely, she thought to herself … surely the owl didn’t just … . But even as she doubted it, the creature spoke again. Posy stared, open-mouthed, but the creature merely gazed back at her placidly from where he perched. “Yes, yes,” bellowed the king rather impatiently. “So we will leave you to rest, my dear. Come, Valanor.” He took the queen’s hand. “The Kingdom awaits us, you know.” And they swept from the room. The Kingdom awaits us? Posy snorted under her breath. Had the man really just spoken those words? They seemed theatrical—like those you’d hear in a fairytale, or read in a … Posy froze. “In a book,” she said aloud, though the room was now empty. Memory flooded her then. Once again, she could hear her parents down the hall, just as she had countless times before. Their voices rose and fell in anger, traveling through the house and into her room like an endless, waking nightmare. She remembered the heavy tread of her own feet as she launched from her bed, heard the jarring of her parents’ bedroom door as she ripped it open. And she had screamed at them—screamed to stop them shouting at one another, screamed to quiet the fear and anger that reared up inside of her. But she had seen their faces turning toward her, and their expressions had gone from shock to anger and then a disappointed sadness that was worst of all. Posy felt a thrill of sorrow, thinking of her little sister. Lily was only eleven. To Posy’ 15-year-old mind that was much too young to be subjected to the bitter misery of what their parents’ marriage was doing to their family. She had hoped Lily had heard nothing of the wild interchange of that night, when her parents shouted cruel words at one another, and she shouted cruel words to them in turn. Tears pricked behind her eyes. Yes, she remembered now. Anger and tears had etched such deep grooves into her young heart that she hated the very thought of them. Anger and tears were what drove her out of the house and straight down the street to the library. Peace, and silence, and books. Posy clung to these things. And that was where she had discovered the book. She had found it innocently enough, she supposed. The library was an old one, to be sure, but she had thought she knew all its dusty corners and sagging shelves by now. But somehow, yesterday, she had found herself in an unfamiliar place. And down the dimly-lit aisle she had chosen a strange, musty book, with a scrolling, antique font. Posy had chosen it for the lettering. It had reminded her of the covers of the fairytales she had read as a child—the ones that made her feel like a character in a kingdom far away from any troubles she knew in her own world. And she had certainly needed such an escape.